Why is it so difficult to get and stay married? First you have to find the right love! If you do this correctly, you will not find it difficult to get and stay married! Love is not waiting at your door ready to find you, so you have to be ready to look for and find love. There are many different ways to approach this journey, but first you have to figure out what you are looking for! How can you start your hunt for the right love without knowing what you are searching for? Understand, for yourself, what you seek in a relationship. What are your non-negotiables – things that you cannot live with or live without? Non-negotiables or must haves/must not haves are things you know you absolutely need in a relationship. Trust yourself on this one! What is really important to you? Examine things like smoking – can you live with a smoker or not? What about religious preference? Is religion an important part of your life? If so, write it down! What are your long term goals in a relationship? Do you want to get married and have children? 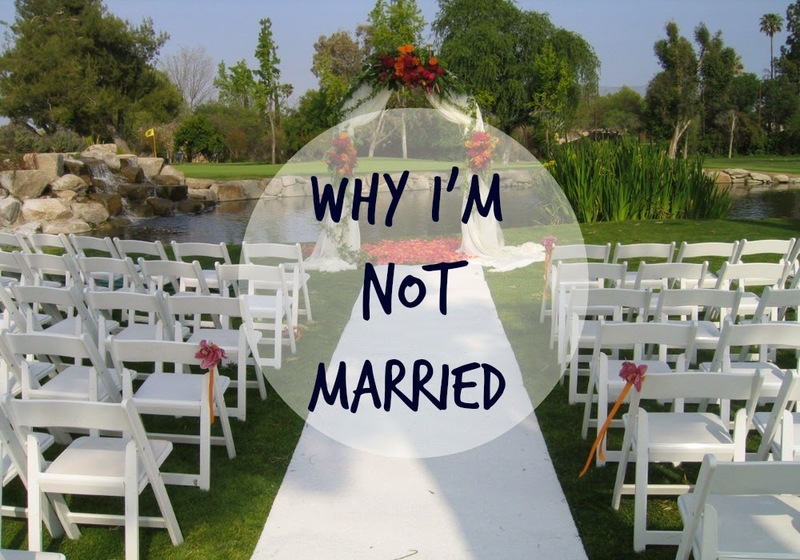 Do you want to get married but not have children? Are you open to others’ children? Are you seeking a committed, monogamous relationship but not marriage? How do you feel about pets? Be honest and truthful with yourself, and respect yourself enough to not compromise on your non-negotiables. Now we can add in your preferences – criteria that come to mind, but you can be flexible on them. These are very different than your non-negotiables, but many people confuse the two. Tall, dark and handsome is a common way for women to describe the men they seek, but what does that really mean to you? You might prefer a tall man, 6’ or taller, but would you miss the opportunity for a great relationship with someone who is 5’8”, or has light hair color instead or dark? Think about it genuinely, honestly and authentically. Once you figure out what you are really looking for, you can really begin a healthy search for the love of your life. Feel free to ask for assistance from your friends, family and/or a certified life coach to find the answers for you! There are many methods to help you with your search. Be open and let everyone you know or come in contact with that you are ready to find a happy, healthy relationship. Let them know what you are looking for, based on what you determined are your non-negotiables and preferences. Also, use reputable on line dating sites, work with a Certified Matchmaker, and/or join groups/clubs to meet those individuals that have common interests. Keep reviewing and stay true to your initial work on non-negotiables and preferences, so you don’t waste your time, or others’ time, and stay focused on your personal journey. As you meet people, evaluate and assess after each meeting or communication. Do you want to continue to get to know this person or not. Be honest with yourself and the other person. Don’t lead people on – it is better to let the other person know early on if you are really not interested in exploring the relationship further. Continue to get to know those you are interested in, and the right one will surface! You will know, trust your instinct and your work on what you are really looking for! Marriage is a very special, sacred commitment between two individuals. Remember, it takes two, but if you make the right decisions early on, and find the right love, you can get, and stay married!! Dr. Nancy H. Wall, Certified Life Coach and Matchmaker, is Founder of Tampa Bay MatchMakers. She is passionate about helping singles. Through her targeted relationship advice and introductions, numerous life-long partnerships and marriages have resulted. Dr. Wall has dedicated herself personally and professionally to helping others. A noted international speaker, she has inspired thousands of singles and couples. She has been seen on ABC Action News, Tampabays10, My Fox 13, and in The New York Times, St. Petersburg Times, and duPont REGISTRY. She earned her PhD in Education, an MBA, her B.S. in Psychology, and holds certifications in Matchmaking, Coaching, and Project Management. Visit www.TampaBayMatchMakers.com, or contact her at Nancy@TampaBayMatchMakers.com or (813) 907-0410.